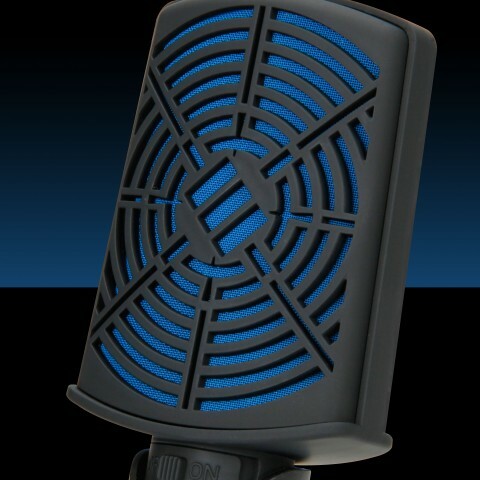 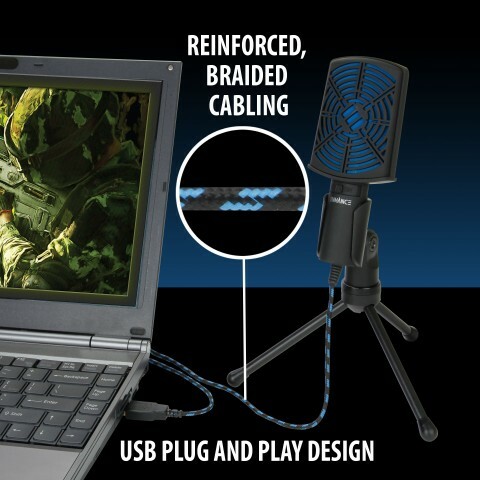 Stream, record, and communicate clearly with the ENHANCE USB Condenser Microphone. 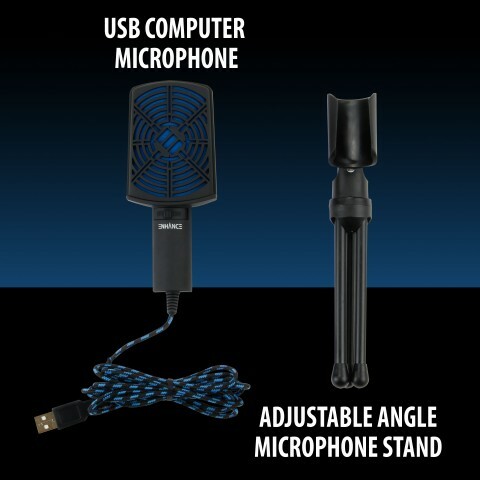 Don't subject your teammates to muddy audio; the ENHANCE USB Condenser Microphone delivers exceptional quality audio every time your mic is live. 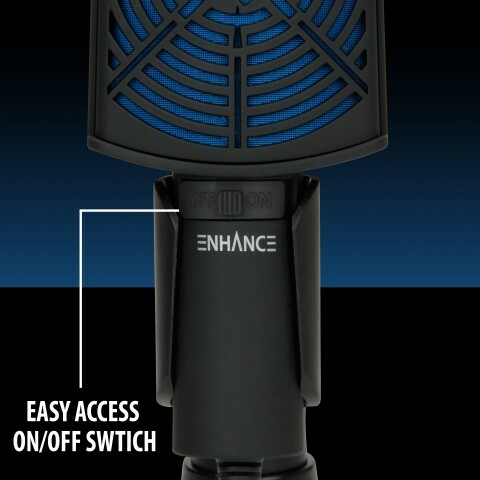 Forget alt-tabbing, you can easily mute and unmute your microphone at the touch of a button thanks to the convenient and easy-to-reach physical switch. 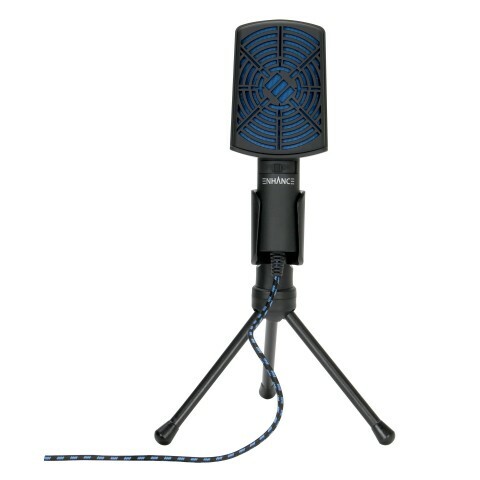 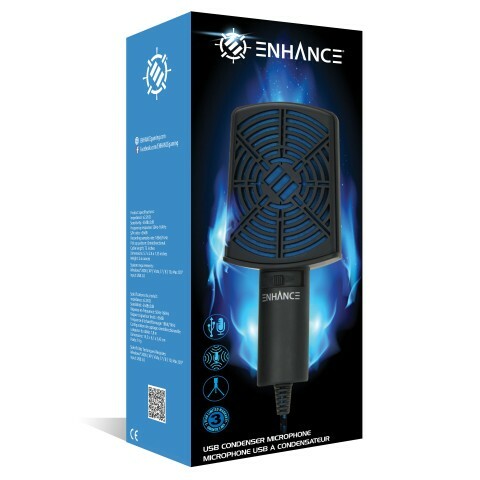 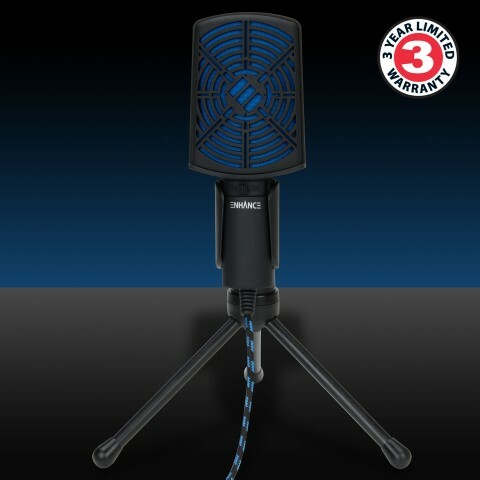 The ENHANCE USB Condenser Microphone has been designed to complement any gamer's setup. 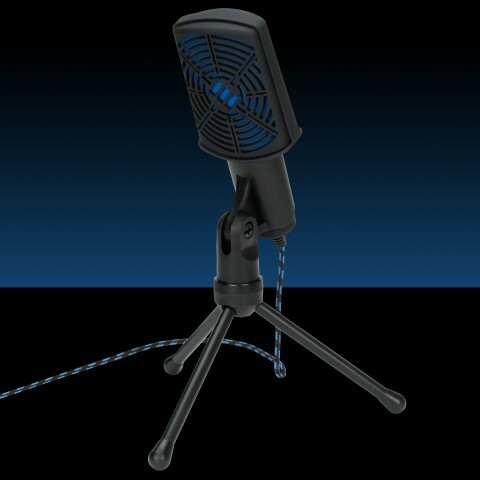 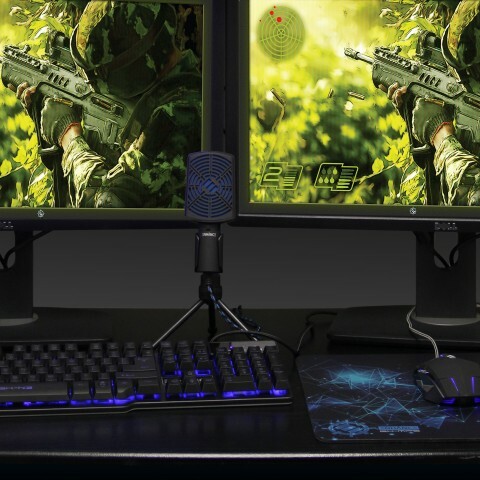 Sporting a sleek, black rubberized finish and eye-catching blue and silver accents, this microphone will look right at home behind your mechanical keyboard and under your gaming monitor. 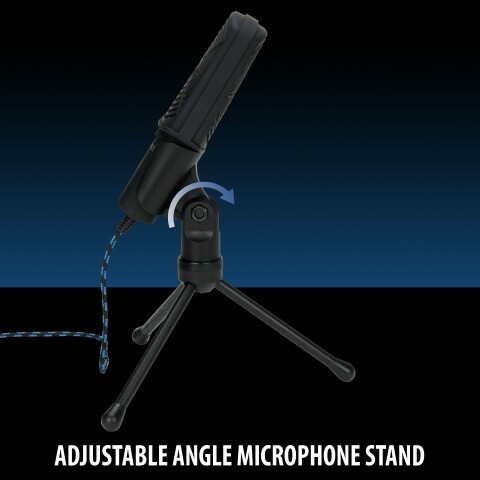 Get your microphone positioned just right with the adjustable, tripod-style desktop stand that is included with every microphone. 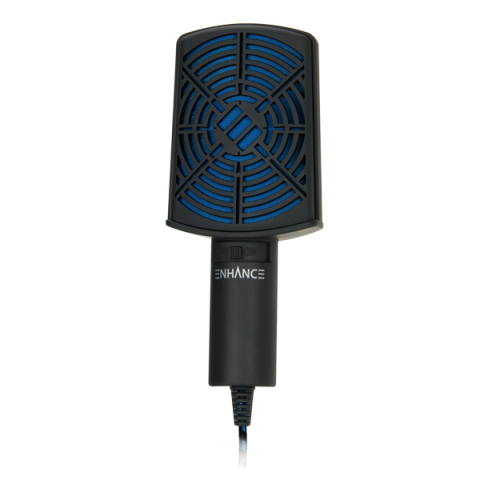 Forget messing around with software installation, the ENHANCE USB Condenser Microphone features simple plug & play installation and setup. 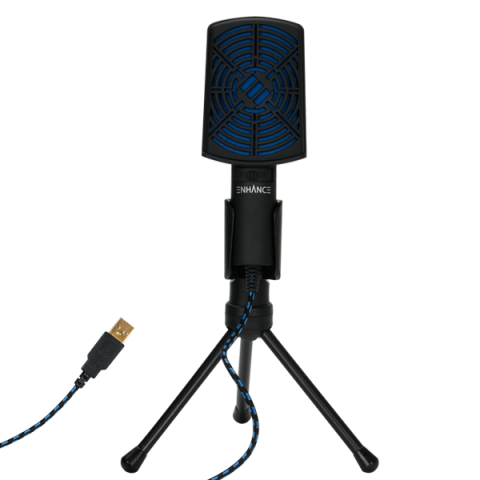 Just plug the microphone into an available USB port, wait for the drivers to automatically install, then you're ready to start streaming, recording, or chatting.